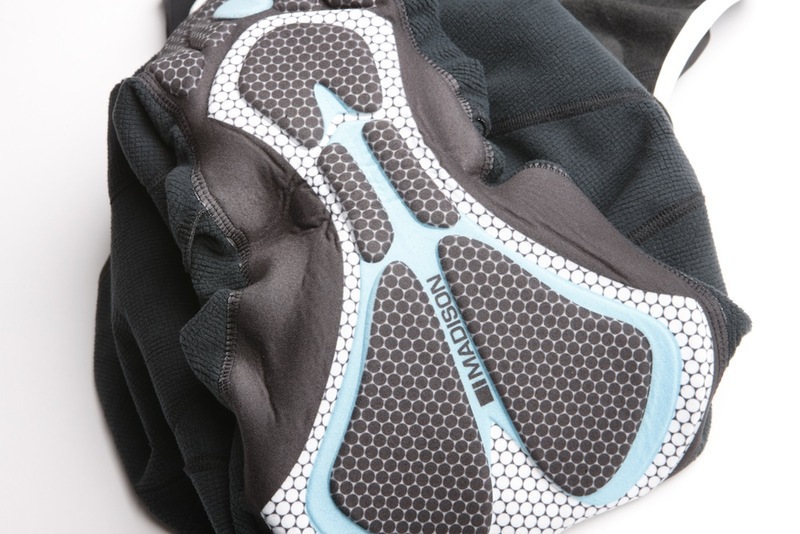 There’s little debate that a good pair of winter bib tights are essential for riding in cold weather. The main criteria on which we judge a pair of bib tights are: fit, comfort, warmth, breathability, value and bonus features. Fitting around the legs and knee was poor. 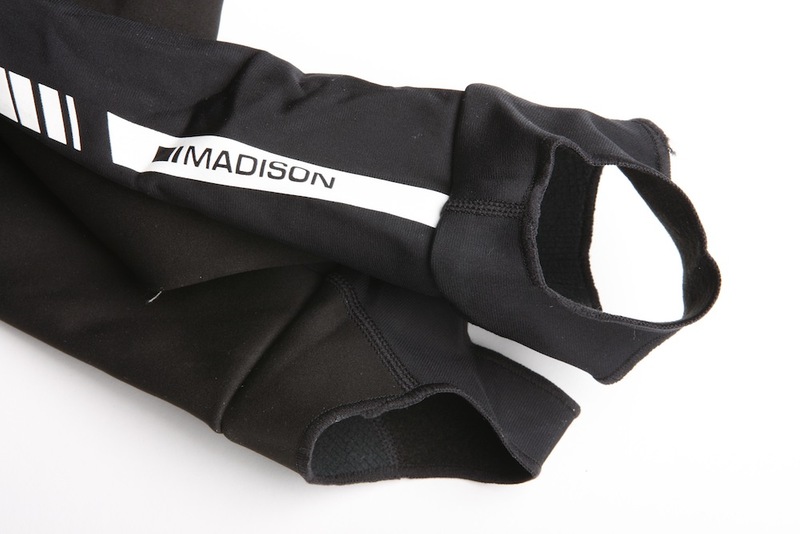 The Madison Sportive Shield Softshell bib tights were certainly warm and breathability was also good, but they failed badly in other areas. Our tester was 6’1″ and 69kg with a size medium fitting poorly. The height was fine, but there was lots of loose material around the knee and they felt constrictive in other areas. A paneled construction is used, but this isn’t very stretchy. In an effort to see if we had the wrong size, other members of the Cycling Weekly tech team also tried the bibs, but also experienced sagging around the knee. The material used in these bibs is windproof, but at the cost of not being very elastic. We found that this resulted in a constrictive feel in certain places, including the joint. We felt this restricted movement. We found the chamois to be uncomfortable too. Whilst derrière comfort is hugely subjective we really didn’t get along with this pad. After 20km we found ourselves riding out of the saddle for relief. The bibs come very high up the torso, which was good for warmth. The zip was useful for regulating temperature but didn’t go low enough for aiding ‘comfort breaks’. To end on some positives, we do like the styling on the ankle and the stirrups are a good feature too. They are also amongst the warmest bib tights we have worn. 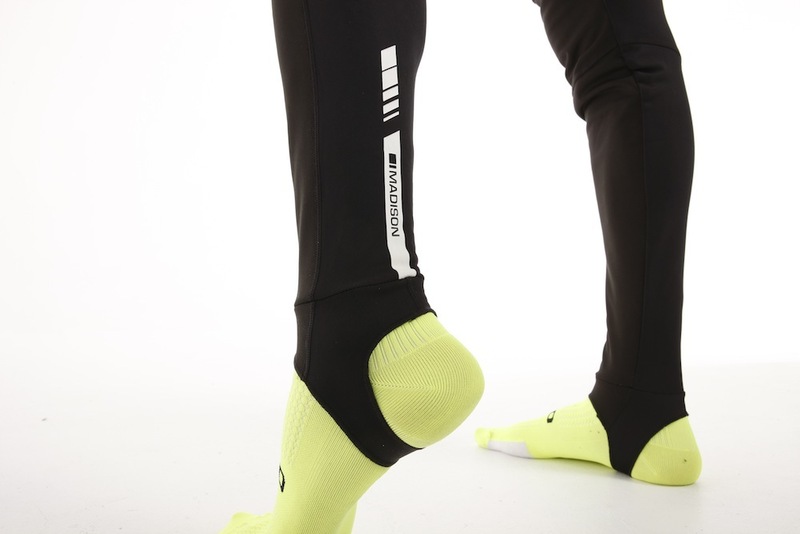 The £99.99 RRP puts them in the mid range for bibtights. For more information, head over to Madison. These bibs are certainly warm and we like the styling and the warmth, but they are flawed with regards to fit and comfort. With an RRP of £99.99 we feel this can't be overlooked. This is a shame as Madison have impressed us hugely with other products.